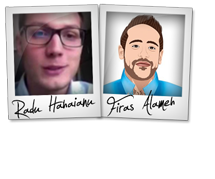 Radu Hahaianu + Firas Alameh – Video Strike Launch Affiliate Program JV Invite, More. 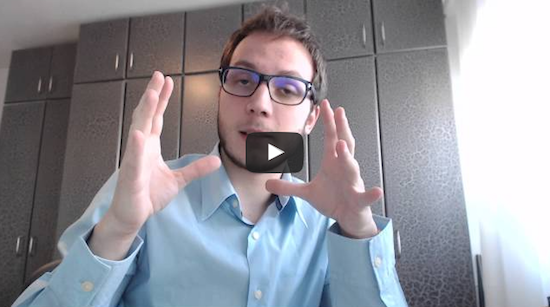 Welcome to the JVNP 2.0 Update featuring a JV offer courtesy of fellow JVNotifyPro Partners Radu Hahaianu & Firas Alameh (Video Strike video creation software launch JVZoo affiliate program JV invite), Buzz Builders (Anthony Morrison – Mobile Optin pre-launch) and More … in Today’s get in the Video Strike zone edition. Fellow JVNP 2.0 Partner, let’s start 2016 in a BIG way, with one huge video launch on Jan 25th that’s guaranteed to make you the biggest commissions of anything you’ve promoted so far this year! Video Strike is a fantastic software which creates incredible animated presentations you can use with your sales videos, webinars & more. ==> Get all the details on JV page. People are using video now more than ever, and they NEED Video Strike to create videos that STAND out from the usual boring black text ones. Listen – the guys behind this awesome software have a proven track record of launches that convert, and with the funnel they’ve designed with this launch – you’re in for the biggest pay day to start the year. So join them – Jan 25th – and let’s make it a BIG start for 2016. Earn $225 CPA On A $99 Offer! The Natural Sculpting System spa product line helps women get real liposuction results without surgery. Promote this in January and earn $225 CPA (Normally $150) on this $99 offer. No refunds will ever be deducted from your commissions & you’ll get paid the next business day for every sale. Scott Palat – Healthy Revelations – The Natural Sculpting System JV page. Earn $799 Per Sale Commission! Help us give your audience ongoing training, business support and peer group to make 2016 their best year ever … while you earn $799 per sale and ongoing commissions in the process! Tracey Carr – Global Mastermind 2016 & Business Accelerator JV page. 4 DAY LAUNCH! TOP NOTCH Shopify/Fb Ads/T-shirts training course! Make up to $196 PER SALE. On top of that there’s $5,000 in JV prizes you can win. CRAZY funnel with 2 different OTOs – expect to see absolute KILLER EPCs! Signup now – Devid Farah – eCom Sniper JV page. We Are Giving Away $50,000 in CASH For Our Sales Contest & $20,000 in CASH For Our Leads Contest! Whether You Have a Small List or a Massive One, It Doesn’t Matter. Our Proven HIGH-Converting System & Amazing Groundbreaking Software Means Everybody Wins! Anthony Morrison – Mobile Optin JV page. Are you ready to take your piece of $20,000 in prizes? Mark your calendars for 2nd Feb to promote Brandrr, an incredible new web based automatic logo creation application, brought to you by Joey Xoto, David Chamberlain & Jamie Garside (the power trio behind Viddyoze!). This is set to be a massive launch, so bring our A game and get ready to bank big commissions! Joey Xoto – Brandrr JV page. 2016 T&C Notes Launch. Feb 15th, Noon EST. $47 FE (60% commission), $19/m OTO (25% recurring), Double digit conversion and $5 EPC expected. Buyers get instant access to previous years notes, 2016 notes, and buyers only Q&A webinar (no pitch) to have an amazing buying experience and you make a lot of money in the process. Tim Castleman – 2016 Traffic and Conversion Summit Notes JV page. Get paid up to $247 per sale promoting the most awesome SEO software ever created. Project Supremacy makes your SEO insanely powerful at the push of a button – and it CANNOT BE SLAPPED. $20,000 cash prizes, a funnel with copy so tight you’ll cry tears of joy when you promote. Herc Magnus + Todd Spears – Project Supremacy JV page. Earn 50% Commissions on this Highly In Demand SEO Business Model training program. This Step-by-Step course leaves No Stone Unturned, Ensuring a Life Time Business that Continuously Scales up … Month After Month. Sign Up Now and Earn Up To $121 Per Sale via our high converting sales funnel. $15K in cash prizes, more. Posted in Internet Business + Marketing, Joint Venture Announcements	| Tagged Affiliate Marketing, Affiliate Program, Affiliate Program Directory, Affiliate Programs, Anthony Morrison, Attract Affiliates, Attract JV Partners, Best JV Brokers, Buzz Builders, Find Affiliates, Find JV Partners, Firas Alameh, Home Business, Internet Marketing, Joint Venture Blogs, Joint Venture Forums, Joint Ventures, JV Announcements, JV Blogs, JV Forums, JV Invite, JV Launch Calendar, JV Product Launch Calendar, JVNewsWatch, JVNotifyPro, JVZoo, Launch, Make Money Online, Marketing, Mobile Optin, New Product Launches, Niche Marketing, Online Business, Pre-Launch, Product Launch Calendar, Radu Hahaianu, video creation software, Video Strike, Work At Home	| Comments Off on Radu Hahaianu + Firas Alameh – Video Strike Launch Affiliate Program JV Invite, More.